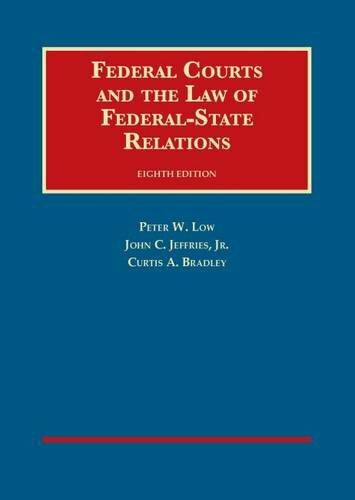 This casebook provides detailed coverage of federal courts and the law of federal-state relations. The authors have reorganized the 8th edition to facilitate enhanced teaching flexibility. As explained in the Preface, instructors may begin either with Erie Railroad and federal-state choice of law or with Marbury v. Madison and judicial review. The 8th edition is up-to-date through December 2013.